This email has been circulating within our groups. I decided to talk directly with the Mexican Consulate in Belmopan. See the reply at the end. According to the Mexican Foreign Trade Law and Mexican Customs it can only allow the entrance of foreign vehicles within a range of 20 kilometers starting from the border line. If you are thinking of travelling beyond this specified KM, which ends at XUL-HA, it is necessary that the owner of the vehicles carries out the necessary immigration procedures, then pays a temporary importation permit at the Banjercito premises, right next door to immigration where you clear your passport. This deposit will vary according to the model and year of the car, and will be returned once the owner exits the country. It is important to mention that the government will discount $US51 due to administrative expenses. If you fail to follow this requirement, the Mexican government has the right to confiscate your car and even start a trial against the driver. Which means that if you are planning on travelling to Bacalar, Mahaual or Cancun you need this permit. Having nothing more to add, I thank you for asking. Lic. Jorge Luis Valencia Gómez J.P.
Fees were to be paid in cash USD, or credit/debit card. Banjercito open 7 days a week from 0700-2000 hrs. Documents required are valid original title/registration and 1 copy, valid drivers license and valid passport with MX visa. NOTICE: – PLEASE contact INFOSAT: 01 800 46 36 728 from Mexico, or 1 877 44 88 728 from USA and Canada for the most current information. Please note that visitors with foreign vehicles can travel within the State of Quintana Roo without a temporary vehicle importation permit. The current Mexican legislation considers the State of Quintana Roo as a Border Region (Región Fronteriza – attached file in Spanish with information about it). Nevertheless, if you plan to travel to Yucatan, Campeche, or other regions in Mexico, such permit will be required. All foreign vehicles must have valid license plates or a valid official vehicle registration. Passenger or tourist vehicles may only circulate within a 20 km (12 miles) radius of the border. This is large tourist type vans. Temporary vehicle importation permits are not granted if the vehicle weighs more than 3.5 metric tons (7.716 lbs). If you have a large heavy duty pickup you might check the weight first. Third party insurance is strongly suggested. It is required for most vehicles circulating on federal roads in Mexico. *Note both are in Spanish, but if you use Chrome, it will automatically translate the website for you. The PDF is only available in Spanish. Many thanks to Loreta Randall CWF President and US Warden for Corozal District. Belize is a country of diversity. From the people and culture to the parts of the country and places to live, Belize offers a little bit of just about everything. Okay, no, you won’t find snow here, nor extreme cold, but that’s the whole idea right? Getting away from the cold! Whether you are planning to retire using the “Qualified Retired Persons (QRP) Program” or obtaining Permanent Residence in Belize, there are many places that offer a great place to live or retire in Belize. Starting in the North, we’ll cover all the Districts in Belize. The Corozal District has been greatly overlooked by many retirees, mainly because it is as far North as you can go in Belize. It’s located only nine miles from the Mexico border and 16 miles from Chetumal, Mexico – which is the Capital of the Quintana Roo District, Mexico. The proximity to Chetumal, and an “American Style” shopping mall as well as a movie theater and many other convenient shopping opportunities such as Sam’s Club, Walmart, Auto Zone and Home Depot make the allure of the Corozal area very inviting to many moving to Belize. There are other benefits to the area as well. Corozal has a growing ex-pat population, but when you talk about the Corozal area, you have to include areas such as Consejo, Four-Mile Lagoon, Patchakan, Xaibe (pronounced Shai bay), Ranchitos, Chunox, Orchid Bay, Cerros Sands, Copper Bank – as well as Sarteneja which is across the Bay. Many of these villages have growing expat communities, and over the last few years it has become a gold rush for property development, with many properties as low as $8,000 USD – $25,000 USD for a one half acre lot. Corozal Town is also right on the water front of the Chetumal Bay (locally called the Corozal Bay), although it doesn’t have any sandy beaches, there are several Parks along bay where the children love to play in the ocean, and many hotels along the bay that have sculptured a lovely beach area for their guests. Corozal is well protected from Hurricanes due to the Yucatan peninsula stopping most of the major storm surges. You can meet almost all of your pharmaceutical needs right in Corozal town, at one of the friendly, reliable Belizean Pharmacies. However, although the Corozal District Hospital is adequate, many find that crossing the border to Chetumal for health care, most of the time at the same cost as your Co-Pay to your insurance company, offers better alternatives, as well as any pharmaceuticals that you may be unable to find in Corozal. The next area is the Cayes (Islands) such as Ambergis Caye (San Pedro), and Caye Caulker. The Cayes have the highest population of expats from around the world, they offer beautiful beaches, easy access to diving, snorkeling, kayaking, wind surfing, parasailing, – the list of water related sports available on the cayes just goes on and on, which is what makes them so popular for moving or retiring there. The cost of living is much higher on the cayes and prime Real Estate is becoming more difficult to buy, but you can still find some reasonable deals, especially on Caye Caulker, where the life style is a bit more laid back and slower-paced. You can acquire some properties in the $30,000USD range, and homes starting as low as $120,000 USD, if you are a prudent buyer and willing to do some searching, but Caye Caulker has a limited amount of Real Estate available, so if you’re interested, time is of the essence! 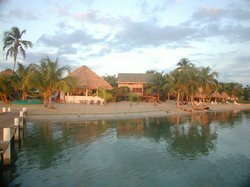 You can find Real Estate on Ambergris Caye, even some beachfront properties are still available for around $350,000USD. For the more budget minded, you will have to really check around with the real estate agents to find good quality properties at a lower price, but there are a few still available. There are some beautiful homes and resorts or business available as well – just as long as you have the pocketbook to fund your dream home or business, there are still plenty of opportunities on Ambergris Caye for living and retirement. Hills. There are many villages in the Orange Walk District including: August Pine Ridge, Carmelita, Chan Pine Ridge, Douglas, Indian Church, Guinea Grass, San Antonio, San Carlos, San Estevan, San Felipe, San José, Nuevo San Juan, San Lazaro, San Luis, San Pablo, San Roman, Santa Cruz, Santa Martha, Shipyard, Trial Farm, Trinidad and Yo Creek. well as dairy, beef and rum products being produced there. Okay, honestly Belize City has gotten a bad rap. Admittedly, there are areas in Belize City I would not go alone or at night and would definitely not recommend. However, there are some beautiful areas around Belize City, and the city is the entry and exit point for all cruises. It is the largest city in Belize and was once the capital when it was the British colony – British Honduras. Since it is the largest city of the country, like all large cities it has its seedy areas, but it also has a lot to offer for those in business or raising school age children. There are a few things to do in Belize City, so we’ll concentrate on the positive. If you travel by cruise ship, the first places you will arrive is the Tourism Village, where you will receive a warm welcome and see some pleasant souvenir shops, small restaurants, restrooms and even an internet cafe. This is the commencement area for shore excursions and the most likely place to book a day trip if you have not done so from the cruise ship. There is a nice man-made beach a few miles west of the city and is easily accessible for day-trips from the cruises. There are several historical sites worth seeing, including St. John’s Cathedral, which is the oldest Anglican church in Central America. You may also want to visit the Baron Bliss Light house. The story of Baron Bliss is quite interesting and you can read more about it in our “History of Belize” section in our (Forthcoming) eGuide. Other sites worth seeing in the city include the Government House which is very well preserved and now considered a a house of culture. It used to entertain foreign dignitaries and was the residence of the Governor General in the nineteenth century. This one of the sites you can see on the Belize City Tour, which you can do by horse drawn cart or passenger van. **Note about horse drawn carriages – there are laws governing the humane treatment of the horses pulling these carts, so please do not patronize any cart owner whose horses are not well cared for or are over-burdened by passengers! Next on the list of things to see in Belize City is the Museum. The museum is housed in the historic Queen Elizabeth’s prison, and displays Mayan relics and culture, as well as old photos of the area. There are many other things to do outside of Belize city, which we cover in our “Adventurous Destinations” section. South of the Belize District is the major town of Dangriga, formerly known as “Stann Creek Town,” which means “standing waters” in Garifuna. Dangriga is the capital city of the Stann Creek District, which is also home to the Cockscomb Basin Wildlife Sanctuary and Jaguar Preserve, and Victoria Peak, the second highest point in Belize, at 3,670 feet above sea level. Stann Creek District is also home to the beautiful South Water Caye Marine Reserve, which is the largest Marine Reserve in Belize. It covers 117,878 acres located approximately 15 miles southeast of Dangriga and is an important part of the Belize Barrier Reef Reserve System, and World Heritage site – it was established in 1996. There are so many cayes, atolls, dive and snorkel sites in this area of the reef that it is impossible to list them all here. Some of the other towns in Stann Creek include Big Creek, Independence, Mango Creek, Hopkins, Santa Rosa, Riversdale, Maya Beach, Seine Bight, and of course Placencia. Placencia is a rapidly growing community named for the approximately 18 long, thin Peninsula, where it sits at the very southern-most tip. It used to be a sleepy little fishing village, but like all the towns and villages on the Placnica Peninsula, it is rapidly growing. Placnecia town now has several world class Hotels and Resorts, as well as an airport that offers direct flights from Belize City International Airport to the peninsula. The airport is located about 5 miles north of the village and can service small personal aircraft. Tropic Air and Maya Island Air both fly into Placencia. This area is attracting both tourists and ex-pats alike, with its beautiful beaches and close proximity to many attractions such as diving, snorkeling, sailing, canoeing and kayaking as well as being within easy traveling distance to many of Belize’s Mayan Ruins and National Parks. 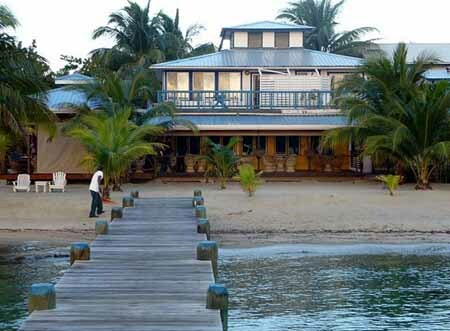 Property prices in Placencia are on the rise, but still very affordable. The Cayo District is home to the Nation’s Capital of Belmopan. It is also the largest of the six Districts and sits at the westernmost edge, bordered by Guatemala. The Cayo District has many towns and villages, most of which are mostly agricultural based, producing primarily citrus and bananas. Armenia is nestled in the foothills of the Mayan Mountain Range and abounds with caves, rivers, and lush jungle. Bullet Tree Falls has moderate tourist attractions due to its proximity to the El Pilar Maya archeological site (just seven miles away) and the twin towns of San Ignacio and Santa Elena. It is also only two miles to the Mopan River, where many tourists enjoy tubing. The El Pilar Archeological Reserve for Maya Flora and Fauna, was declared a cultural monument in both Belize and Guatemala, and is the largest ancient Mayan city center in Belize. San Ignacio sits nestled in the valley sculpted by the Mopan River and Macal Rivers, the junction of which is the starting point of the Belize River. Although San Ignacio and Santa Elena are called the “Twin Towns”, Santa Elana resides on the east bank of the Macal River and San Ignacio is located on the west bank. The sister towns are connected by the the Hawksworth Bridge, the country’s only suspension bridge. Both are great tourist stops on the way to the many attractions in the area. From San Ignacio, travelers can hike the one mile trail to the spectacular Maya ruin of Cahal Pech with sweeping views of the beautiful country. Other small towns in the Cayo District include the following: Esperanza, which is located approximately two and a half miles northeast of San Ignacio; Georgetown is just off the Western Highway on route between Belmopan and San Ignacio and is home to the beautiful Gumbo Limbo Jungle Resort where you can stop off between visiting the many attractions in the Cayo District such as the Cave of the Crystal Sepulcher and Masewal Maya Medicinal Garden. Blackman Eddy is a small village to the northeast, near Orange Walk, that borders the Belie River. it has rich soil for farming, and several farm acreages available starting at around $175,000USD. The Cayo District also has another fair sized distribution of expats apart from Ambergris Caye or Corozal, without the high cost of living that comes with the Cayes. Small ranches and farms are plentiful and if you want a deal on real estate, Cayo may have the perfect farming or paradise property for you averaging between $25,000 t0 $100,000USD. The Cayo District also boasts a small golf course located near Belmopan, the Roaring River Golf Course is just starting to gain attention. It is a Par 64 executive style course, and is lined with native trees and tropical rain forest, so you are sure to see plenty of indigenous birds and reptiles such as iguanas. The water hazards certainly might be perilous, since they are home to fish, crocodiles and various other wildlife. In addition, there are two Universities in the Cayo District: the University of Belize which has campuses in Belmopan and Central Farm, and the privately administered college, Galen University, also in the Central Farm area. The Toledo District is the southernmost area in the country, with the lowest population. However, it offers some of the most pristine rainforests in Belize. Punta Gorda, the capital of the region, is rich in culture and diverse peoples from many small villages. It is also the starting point for many excursions from Belize into Guatemala and Honduras. Although the area has very little in the manner of “high-end” resorts, for the truly adventurous, it offers exciting opportunities for exploring the District’s many natural attractions. The area is favored with caves, Mayan ruins, sinkholes, waterfalls and has five protected wildlife reserves. The Sapodilla Cayes offer many possibilities for diving, snorkeling, fishing, kayaking, swimming and many other water sports. If you enjoy fly-fishing, the Toledo District’s many rivers provide plentiful possibilities. Fisherman in the area still fish from small dug-out canoes and dive for conch and lobster during season. Many Toledo fisherman now offer their services as fly-fishing guides. Toledo has many small towns and villages such as Blue Creek, Barranco, Indian Creek, Monkey River Town, San Antonio, Santa Cruz, San Felipe, San Jose and San Pedro Columbia (not to be confused with San Pedro on Ambergris Caye.) Most of the small villages rely on agriculture for their livelihoods, with the major crops consisting of beans, corn and rice. Other crops include avocado, chili, coffee, hot peppers (habanero is a staple in Belize), sweet potatoes, yams, oranges and plantain. The Toledo District is the Cacao capital of the country. They celebrate the ancient tradition of chocolate at the Cacao Festival annually in May over the Commonwealth Day holiday weekend, it’s something chocolate lovers won’t want to miss! Many properties are available in the Toledo District ranging in price from $1650 to $5000 USD per acre, depending on location, although ocean front lots will cost more. Most Real Estate in the area is located near a river or small creek, with some available sea front lots. 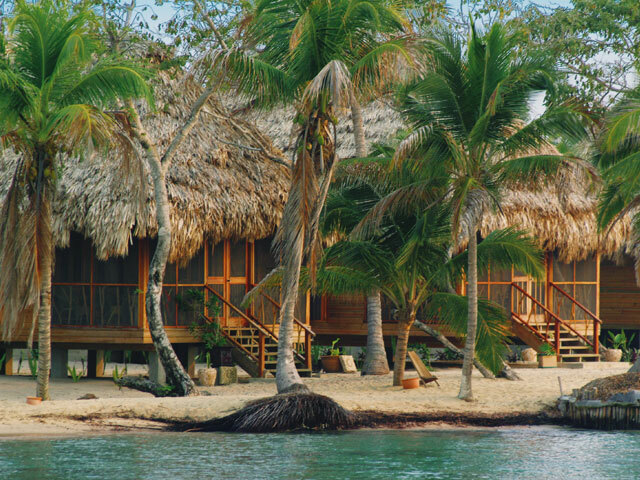 No matter where you choose to live, you are sure to find the perfect place to retire in Belize! If you are looking for a place to stay in Placencia Belize, the following is a list of the top Placencia Peninsula Hotels and Resorts. Belize has a population of a little over 320,000, many of whom live in poverty. There just isn’t enough funding to support a level one trauma center in the country. Regardless of what is posted all over the Internet, if you have a dire medical emergency, be aware that medical care in Belize does not meet the same standards as medical care in North America or the European Union. There are however, many excellent hospitals and clinics throughout the country to meet and deal with minor injures and illnesses. You can find information for regional medical services in the Northern, Central, Western, and Southern areas. Voyagers from all across the globe should be up to date on routine vaccinations while traveling to any destination, including Belize. Routine vaccines include measles-mumps-rubella (MMR) vaccine, diphtheria-tetanus-pertussis vaccine, varicella (chickenpox) vaccine, polio vaccine, and a yearly flu shot. Visitors should be aware that there is a minor risk of Hepatitis A, and vaccinations for this are recommended. It can be contracted through contaminated food or water in Belize, regardless of where you are eating or staying. You should also be aware that there is a small risk of Typhoid. You can get typhoid through contaminated food or water in Belize. The CDC recommends this vaccine for most travelers, especially if you are an adventurous eater, you are staying with friends or relatives, or if visiting smaller cities or rural areas. The U.S. embassy and other foreign emissaries recommend that foreign nationals verify their medical coverage, especially catastrophic medical coverage including the cost of medical evacuation, and insurance coverage before before visiting or taking up residence in Belize. You may also be interested in purchasing Travel Insurance. Belize Entry Requirements: All visitors to Belize must have a valid Passport, which is good for up to six months after their visit, with proof of return to their country (such as continuing or return air tickets), proof of sufficient funds to maintain themselves in Belize may be required. Exception: U.S. citizens on closed-loop cruises (i.e., cruises that begin and end at the same U.S. port) will be permitted to enter and depart with a birth certificate and a U.S. government-issued photo ID. One Blank page is required for entry stamp. Visas are not required for citizens of the United States, the British Commonwealth of Nations (except India), and the majority of Caribbean Islands. All other countries require a visa to visit Belize. Visitors are allowed a maximum of one-month stay in the country before they require an extension. Visitors for purposes other than tourism, or who wish to stay longer than 30 days, must obtain visas. Those planning to stay more than 30 days must have their passport stamp renewed by a local immigration office. The fee to remain in Belize for another 30 days is approximately $25 USD for every month up to six months, after which time the extension stamps fees are $50 USD per month. You may also need to provide validation to the local immigration officer to explain the reason for an extended stay. If you have questions regarding any Belize Entry Requirements, please leave a comment below and we will respond accordingly.